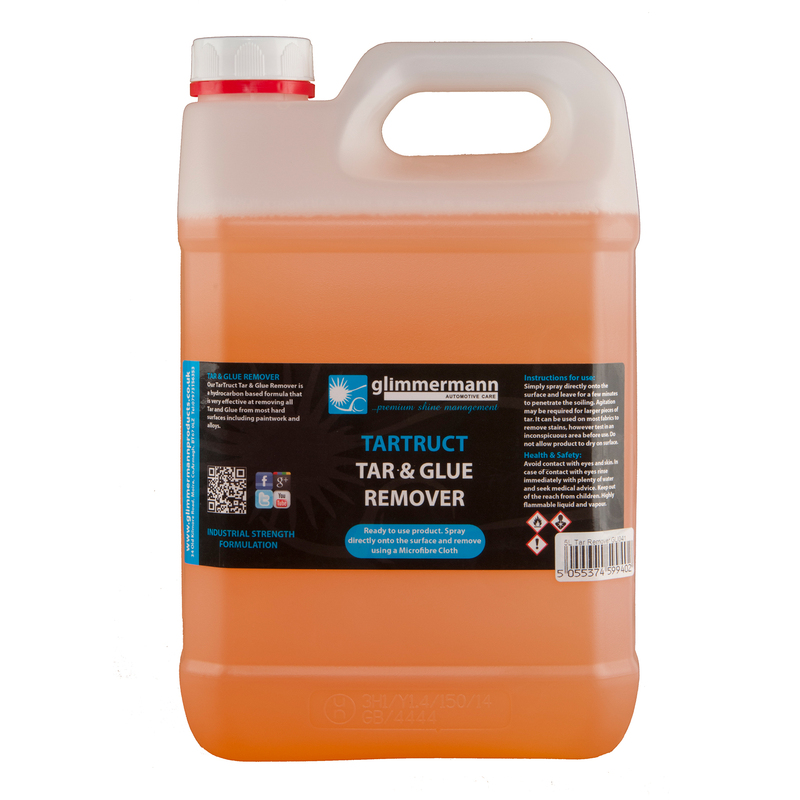 Our TarTruct Tar & Glue Remover is a hydrocarbon based formula that is very effective at removing all Tar and Glue from most hard surfaces including paintwork and alloys. Simply spray directly onto the surface and leave for a few minutes to penetrate the soiling. Agitation may be required for larger pieces of tar. It can be used on most fabrics to remove stains, however test in an inconspicuous area before use. Do not allow product to dry on surface. Avoid contact with eyes and skin. In case of contact with eyes rinse immediately with plenty of water and seek medical advice. Keep out of the reach from children. Highly flammable liquid and vapour.